With its prime position on the mouth of the river Douro and its huddle of colourful buildings, Porto is extremely photogenic. Here are my tips for where to find the best views in Porto so you can go home with enviable holiday snaps. 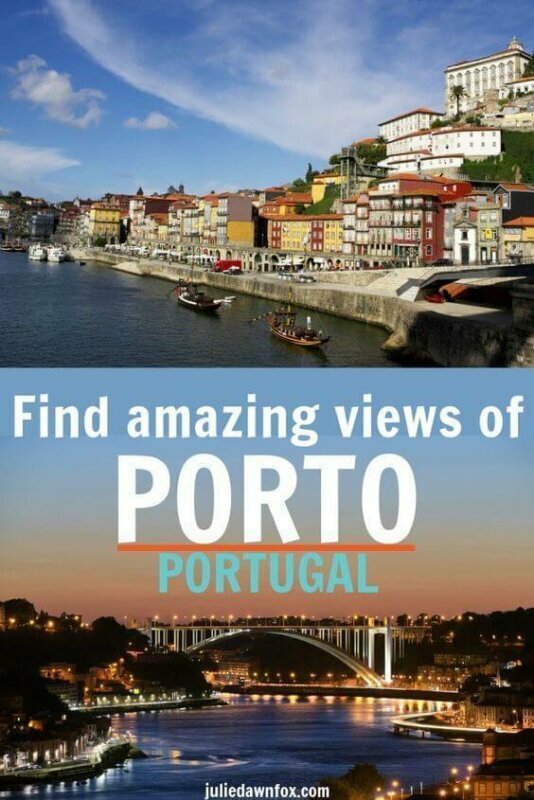 Note that my flexible self-guided walking tour of Porto sights and highlights encompasses many of these viewing spots. You can see the 76-metre tower of the Clérigos church from many places in the city. Once you’ve admired the outside, go inside and pay the small fee to climb the 240 steps to the top of the 18th century baroque tower. 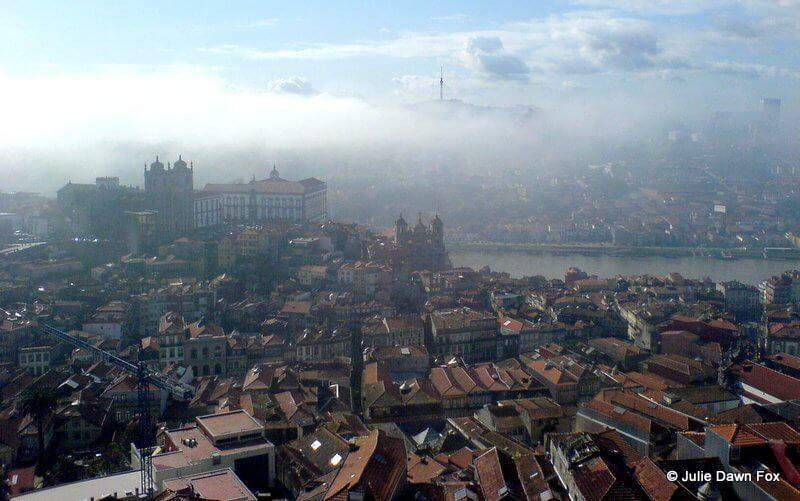 From here, you get a 360° view of Porto which is well worth the effort. 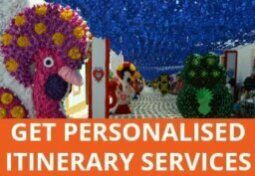 You can avoid queues by buying your ticket online. Even so, it’s best to go earlier in the day to avoid crowds. View from Clérigos Tower on a misty morning. 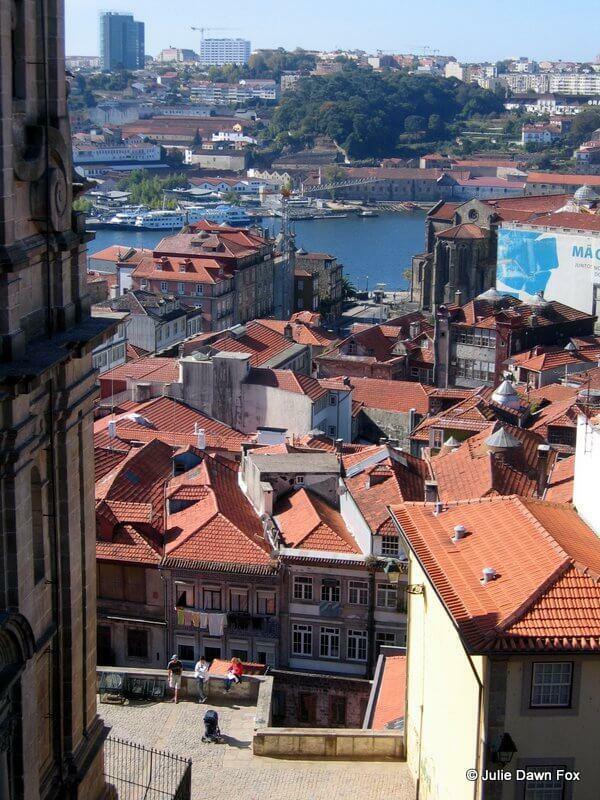 Not far from the beautifully decorated São Bento train station you’ll find the Sé (Porto Cathedral). Even if you don’t visit the cathedral, be sure to take a look over the walls that line its square. 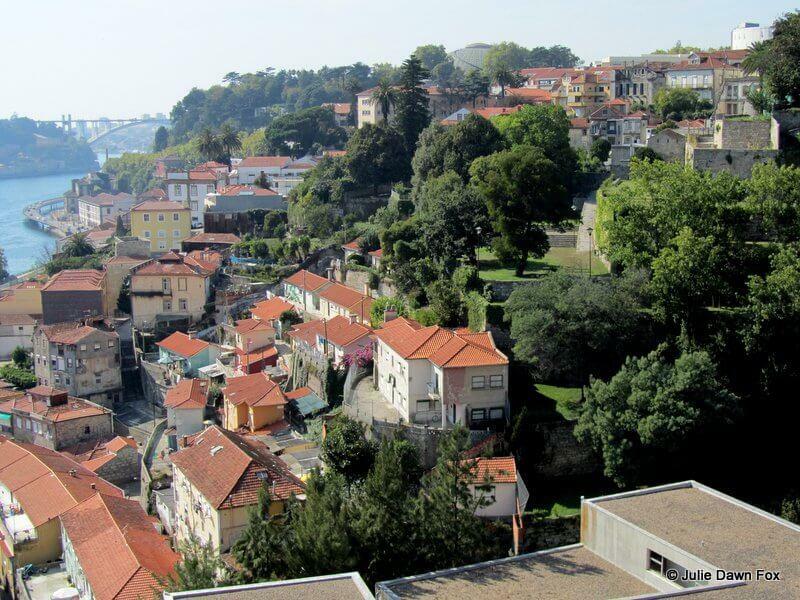 From one side, you’ll be able to see the crumbling houses of Porto’s ancient Ribeira district and the aforementioned Clérigos Tower in the distance. Look down onto the street and you might catch the local women playing cards. 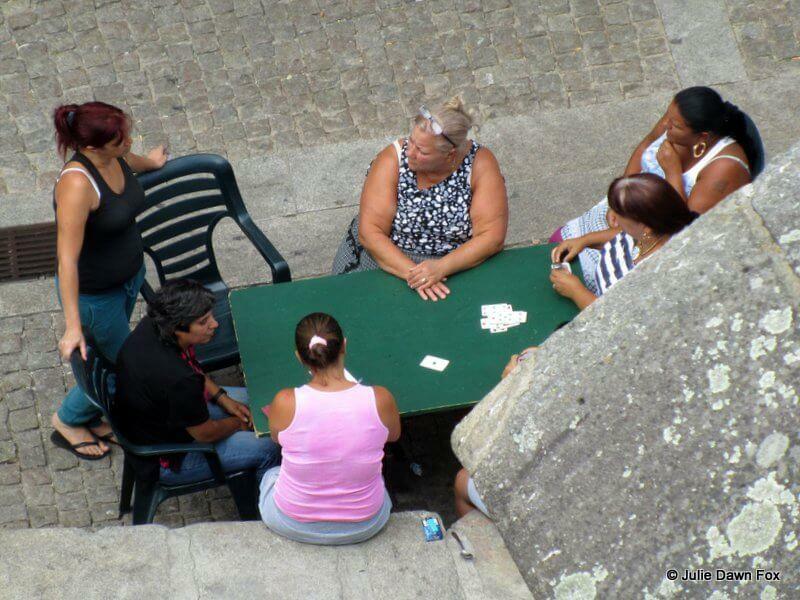 Ladies playing cards in the street below Porto cathedral. From the main wall, opposite the pillory, the view gets even better. The streets spread downhill past the impressive facade and bell towers of Igreja de São Lourenço. It’s worth going down to the viewpoint on the level below for a closer look at the church and the glass rooftops of the Palácio da Bolsa. View of Porto from near the cathedral. This small park is a welcome respite from walking uphill from the narrow Ribeira streets. It’s understandably popular with tourists but locals have been coming here for a stroll with a view since the 19th century. If you can’t see it on your map, aim for the bottom end of Rua Azevedo de Alberquerque. You can cross this famous bridge on two levels but you’ll get the best views of Porto and Vila Nova de Gaia from the top. If you’re coming at it from São Bento station, just keep walking with the cathedral on your right. The metro line goes along this level of the bridge so watch out for trains when you’re taking photos. Walking over Dom Luís bridge. To your right, you’ll get a bird’s eye view of the Ribeira, a view towards the ocean and across the river to the port wine lodges of Vila Nova de Gaia. View of Vila Nova de Gaia, Porto from Dom Luís bridge. The circular building you can see above the iron bridge has a fascinating story and offers amazing views of Porto and Vila Nova de Gaia from the exterior terrace and even better ones from the cupola. Read about it in this post. Once you’ve crossed the top of Dom Luís I bridge, just walk a little further up to the Jardim do Morro for spectacular views over the river and city before heading down to the river front again. 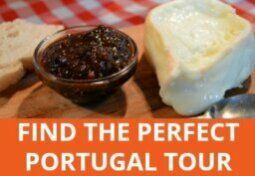 After you’ve had your fill of port-tasting, you can wobble back over the lower level of the bridge to Porto. 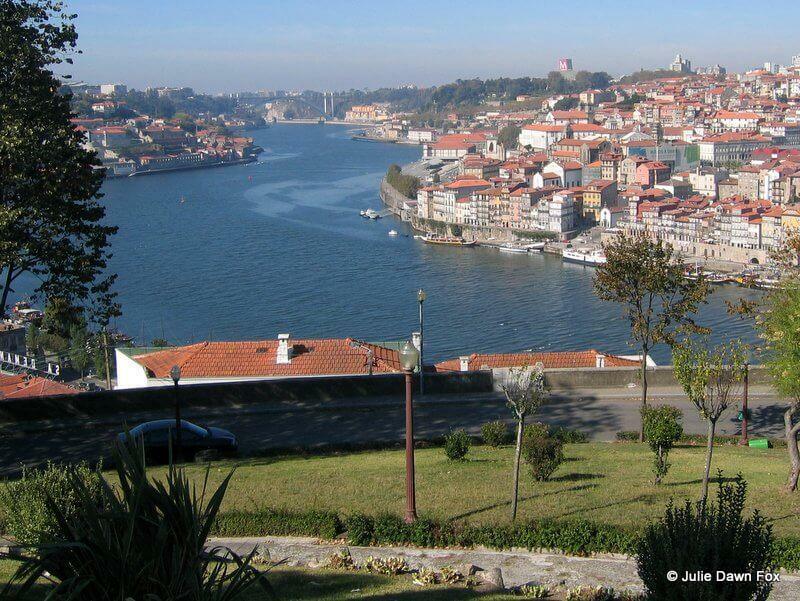 View of Porto from Jardim dos Morros. 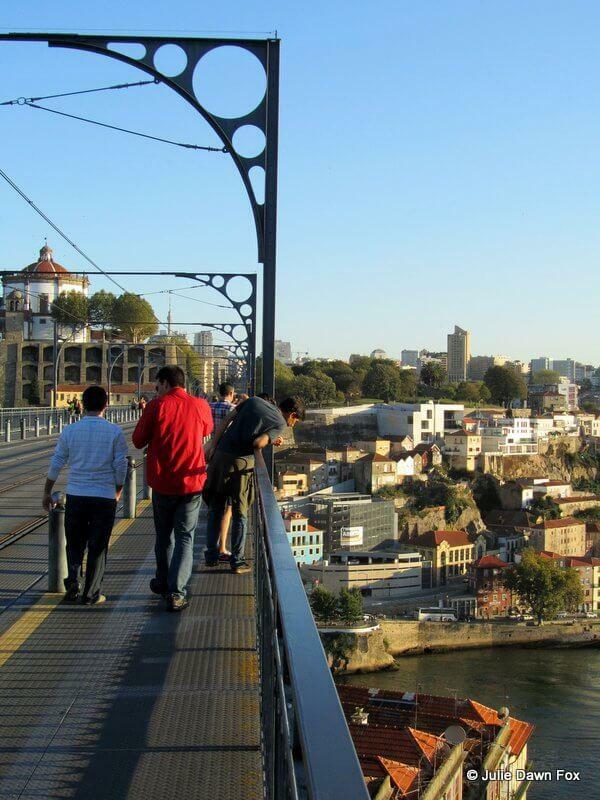 A great way to save your legs from having to walk back up to the city centre from the Ribeira riverside is the funicular, which is just behind the lower level of the Dom Luís I bridge. 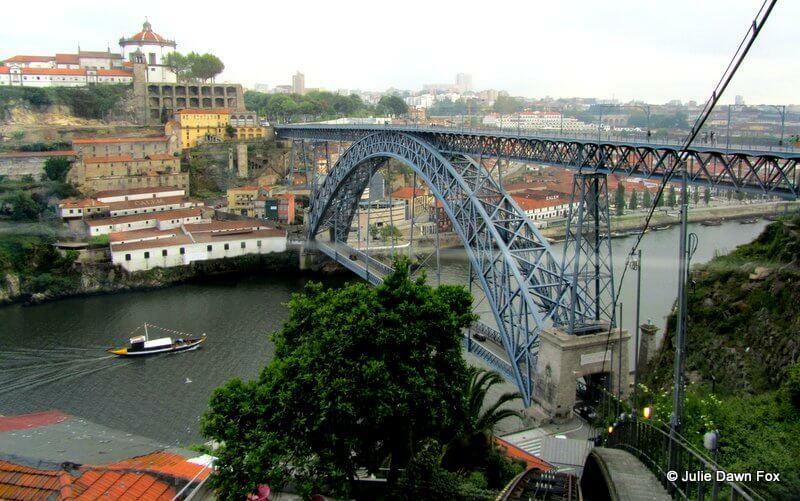 From here you’ll get great views of the bridge itself and across the Douro River. View from Funicular Guindais, Porto. 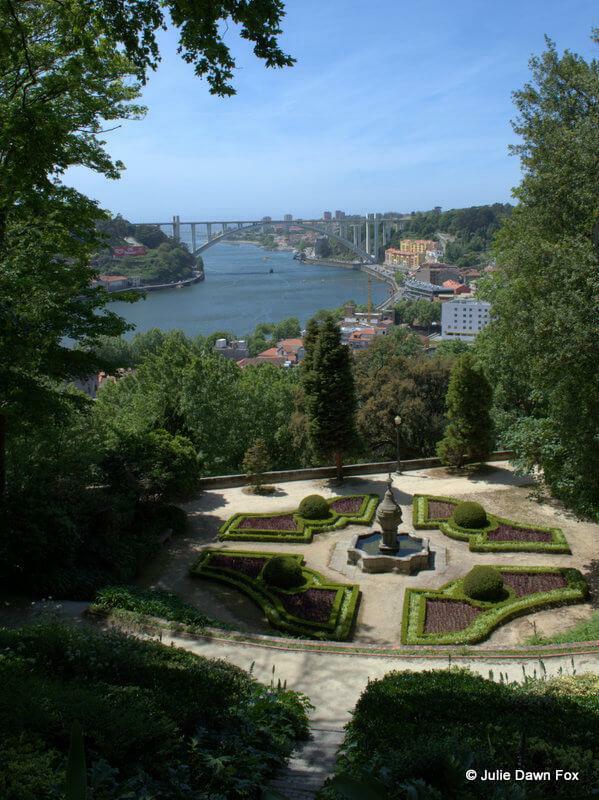 As well as being one of the city’s most attractive gardens, the views of Porto, the Douro River and Vila Nova de Gaia from the various terraces of Jardins do Palácio Cristal are well worth a visit. Most of these sights are included as part of my 1-2 Day Flexible Self-Guided Porto Walking Tour. 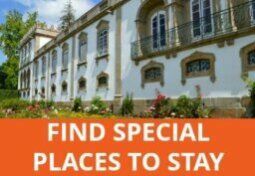 If you’re planning to use public transport in Porto or visit several attractions, it might be worth getting a Porto Card to save money. Check out the 1, 2, 3 and 4-day options here. Loved Porto on our first short visit 2016, just booked to go back when the festival of St John is taking place at the end of June….can’t wait ! Love your articles ! I like very much your article! 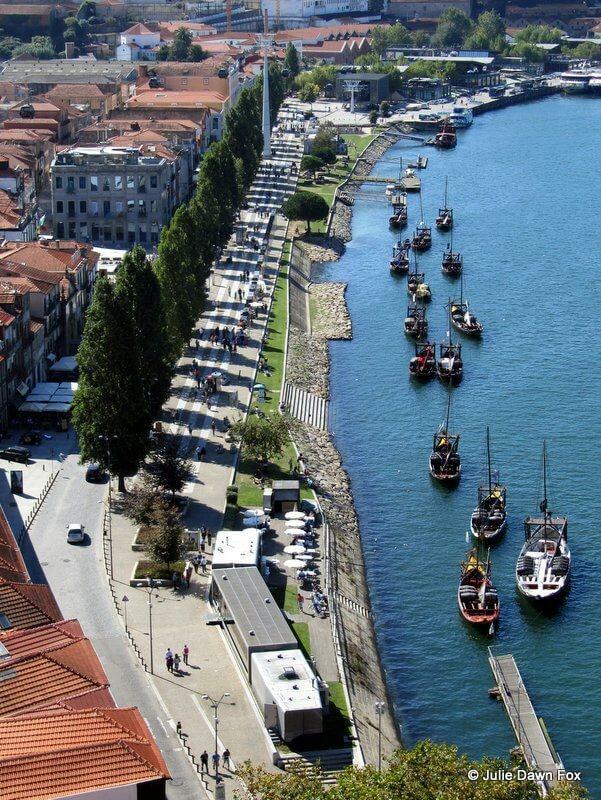 Porto has many beautiful places to see. Did you eat a “frencesinha”? I just put the link for an article. But one of these days I’ll make a post dedicated to your site. It’s great! I work in the place with the best view of both Porto and Gaia! 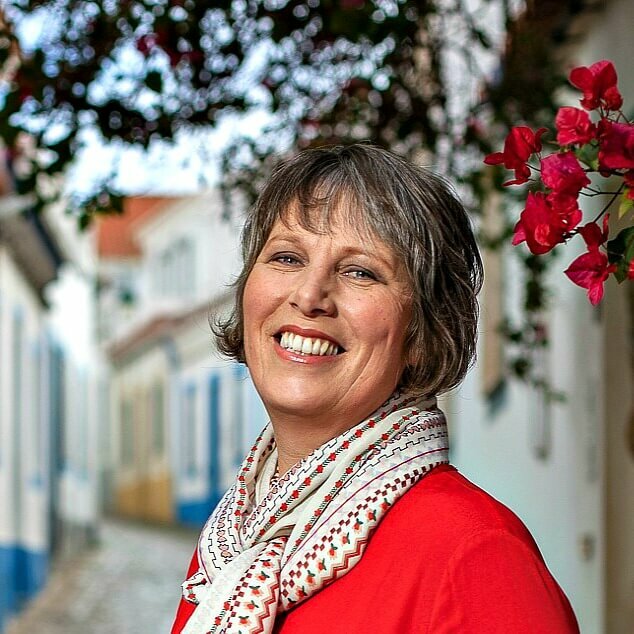 I do the guides tours in the old Monastery overlooking the city – Mosteiro da Serra do Pilar. It’s possible to climb to the balcony surrounding the dome of the round church. It’s a pitty you didn’t go there, since it’s right next to the bridge and Jardim do Morro. Hi there, thanks for adding this. I definitely want to go there, I just didn’t have time to fit it in to my last trip. These photos are from several years of visiting Porto and the Monastery wasn’t open when I went to Jardim do Morro. Next time, for sure! Great photos Julie, I love your take on the photo challenge! Beautiful photos Julie. I love the ones taken from the bridge and of the Dom Luis Bridge, I always thought it was a beautiful bridge. You’re right, Sami, it’s lovely, and a great place to get even better views.